For the final episode in our series dealing with the aftermath of the U.S. presidential election, we talk with Rev. 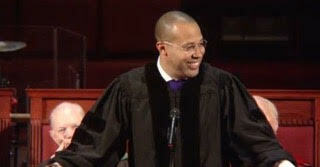 Marshall Mitchell, pastor of Salem Baptist Church in Jenkintown, Pennsylvania. Rev. Mitchell details how the tools used by African Americans to overcome previous social and political odds can be harnessed to address our modern day struggles. On this episode of “Perspectives on Mind, Body & Soul,” Rev. Mitchell reminds us to forget fear and worry; it’s all about planting spiritual seeds now that we can harvest later.